Clearone Chat 150 Conference Phone for Cisco Telephones is available at Telegiants online store. They are providing this conference phone of top quality with 30 days money back guarantee. It features full duplex audio conversations which mean that the users can listen and speak to each other without any cutting audio. It is portable and small in size which makes it easy to take along. It can be utilized with some applications that need 2-way audio. 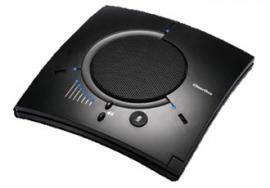 For example, the web conferencing applications, the instant audio chat, the VoIP software phones. This product is easy to connect with the enterprise Cisco telephone systems. 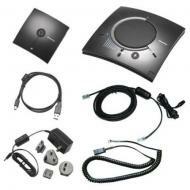 Clearone Chat 150 Cisco Accessory Kit is a very economical kit that is readily available at Telegiants. They are providing this complete Accessory Kit with 30 days money back guarantee. Many organizations are purchasing this kit because it has all things in it like AC power adapter, breakout box, telephone cables, linkable cable as well as power plug adapters. With the help of this kit, the users can easily link the Chat 150 to the telephones. Not just that, this kit contains a breakout box as well which is very functional with the Chat 150. This kit is quite small and easy to carry. Each accessory present in it is helpful in making Chat 150 more usable.